Turn your truck bed into fort knox! With our camper shells you gain a secure enclosed storage area protected from the elements and from damage. Whether you're a camper, a security-conscious truck owner, or just someone who appreciates the look and convenience of a high-quality camper shell, we can recommend the best product for you. The Z Series truck cap gives your truck the best possible fit and finish. Engineering for seamless style, the Z-series boasts frameless doors and windows, as well as great attention to detail. And with the optional keyless entry system, the Z-Series is a fantastic option for any vehicle. The Overland Series truck cap is rugged in design and style. It's Unique two-toned off-road design features a spray-on protective coating, increasing hardiness against off-road stress. This truck cap is perfect for the adventuresome driver who enjoys squaring off against the elements. The CX Series combines strength, style, and function. It's designed to look sleek and smooth, but don't let that fool you! The CX series is a rugged design that can handle anything you throw at it. Overall, a great choice for any lifestyle. The V Series offers traditional styling with smooth, clean lines. It provides quality and function at the same time, without breaking the bank. Also, the side tool box option is a must-have addition for any contractor. 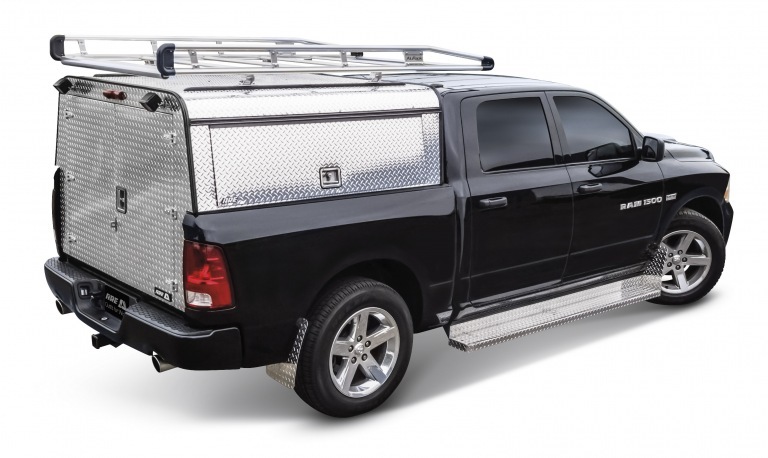 The new HD Series fiberglass truck cap is unmatched in strength and durability. Available for the CX and MX Series cap profiles, the internal skeleton of the HD series triples the weight capacity of the roof rack and side toolboxes. If you need a truck cap that absolutely, positively must stand up to anything you throw at it, then the HD series is the only choice. Get to work with an A.R.E. commercial aluminum cap. This cap features rugged welded frame construction, capable of delivering years of service no matter the weather or the job. Comes in DCU (.035 aluminum skin), DCU MAX ™ (.063 aluminum skin), or Diamond Edition DCU ™ (.063 diamond plate aluminum skin). Features weather-sealed doors with gas props, heavy-duty hinges, and BOLT One-Key technology locks to protect your valuables. When the going gets tough, the Commercial DCU shell will never let you down. If you are interested in Totally Trucks trailer hitches call us at (530) 223-2246 or email us below.